Brett Yormark’s unique understanding of the New York sports landscape assures the CEO of the company that operates Barclays Center that the market can support two heavyweight title fights scheduled within two weeks of one another. The first of those two events, headlined by WBC champ Deontay Wilder and mandatory challenger Dominic Breazeale, will take place at the Brooklyn building Yormark operates May 18. The subsequent heavyweight championship match in New York, IBF/IBO/WBA/WBO champ Anthony Joshua against Jarrell Miller, is set to take place at Manhattan’s famed Madison Square Garden on June 1. While mindful of Joshua’s standing in the sport, Yormark believes Alabama’s Wilder is a bigger star in the United States than England’s Joshua. Yormark pointed to the position Wilder occupies – No. 34, 29 spots above Joshua – on the “World Fame 100” list of professional athletes ESPN released last week to partially support his point (https://www.boxingscene.com/wilder-fury-among-six-boxers-on-espn-world-fame-100-list--137238). 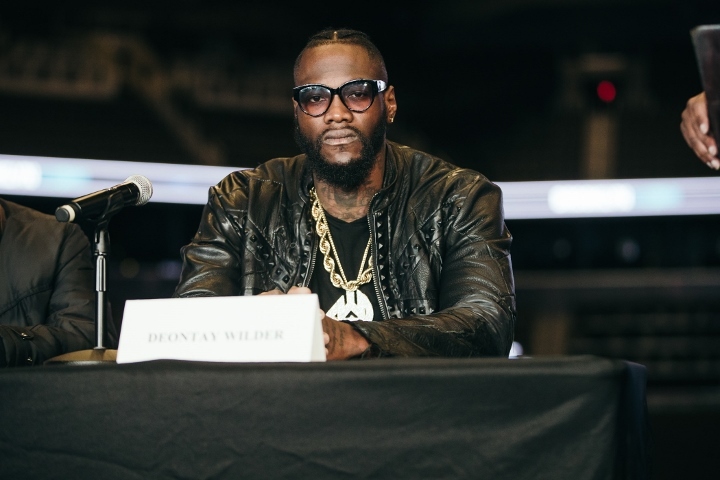 Wilder is the highest-ranked active boxer on that list, which was based on Google search scores, endorsement income and social media followings. That said, Yormark expects boxing fans to pack Barclays Center for Wilder (40-0-1, 39 KOs) and Breazeale (20-1, 18 KOs) and Madison Square Garden for Joshua (22-0, 21 KOs) and Miller (23-0-1, 20 KOs). “New York is the biggest sports market in the world,” Yormark said. “There’s no question about it. Just like there’s nights where the Nets and the Knicks play, and the market is big enough to support both of those events, same with boxing. I look at it in a very similar vein. Yes, MSG will have a heavyweight title fight in June, and we’ll have one in May. But obviously, the market’s big enough to support those fights if they’re just a few weeks apart or even on the same date.